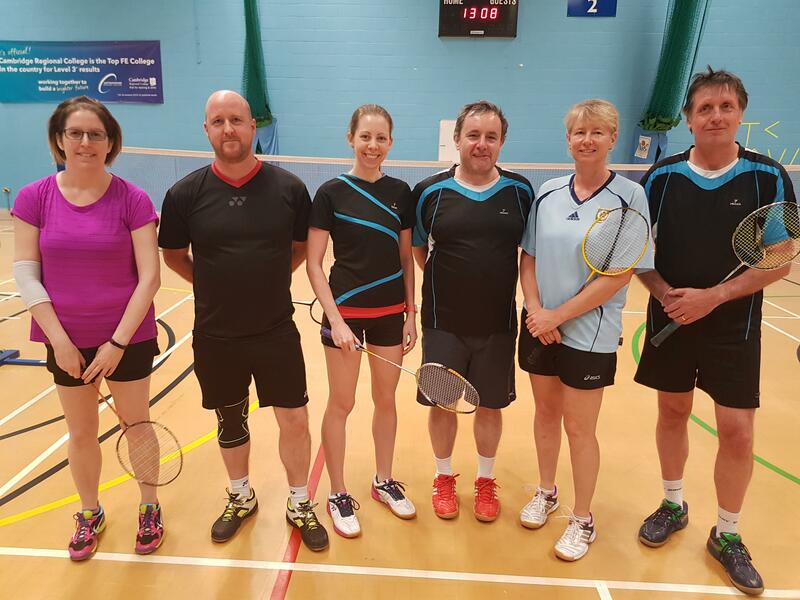 Our Mens, Mixed, and Ladies doubles league tables have now all been updated with the results received so far at our season’s halfway mark. 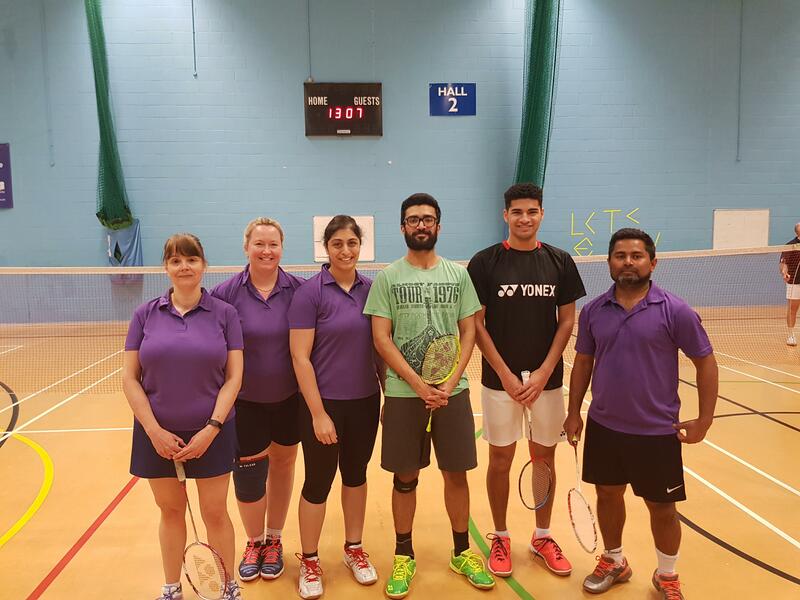 Our Singles League has also started it’s new (Jan-Apr 2019) season with good engagement. 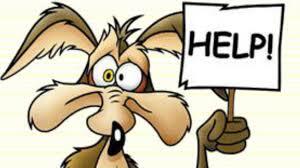 It’s easy to get involved – see contact info on the singles league page. Finally, we’re just booking the courts for our cup finals! Will confirm dates and times shortly!! Congratulations to St Ives Badminton Club who this weekend claimed the Handicap Cup. St Ives beat Cambridge City 2nd team by 63 points after a small handicap adjustment. This was possibly the easiest handicap to assign in a final for years, given the two sides are right next to each other in the league, and split the points in their two league games! Our congratulations to Crossways 1 for securing their 2nd successive Bill Pink Cup win. Crossways won the final convincingly 8-1 over Cambridge City, in a repeat of the final from the previous 2 seasons. Congratulations to the team below (from left to right): Steph Jong, Andrew Kidger, James Barclay, Kerry Kellett, Alison Mclellan, and Chris Lim. P.S – Not sure about that shirt, Chris! Unfortunately St Ives 2nd mixed team has had to withdraw. The committee have spoken to various clubs and explored our options – thankfully Cambridge City have agreed to move up from division 3 to division 2, ensuring we have 5 teams in each division! Our thanks to Cambridge City and best of luck in the tougher division! 2017/18 League Tables & Cup Draw now released! The mixed divisions have had to be rejigged slightly; we had a few additional teams and wanted to avoid having 7 teams in one divisions as some clubs were reporting they were struggling with court space last season. This meant creating a new division 3 and sliding a few teams down. We continued the “always promote last year’s winner” rule that we have used previously, which has resulted in some teams that came 2nd bottom last year being relegated. Apologies to those clubs, but our hope is that this will lead to the best badminton. Ladies divisions now have sufficient teams for 5 teams in each division, so teams won’t be playing eachother 3 teams this season (just the usual 1 home + 1 away fixtures). We have not yet booked the cup finals, but Sam Shepherd (our Tornament sec) will be in touch about handicaps and deadlines for first round ties shortly. More information to follow. Most clubs have updated their club info. Please feel free to start organising your fixtures. The fixtures meeting will be at 7pm on 29th August at the Red Bull pub in Newnham. Clubs are reminded that you must send a representative to this meeting, and that paying for entries can be done by cheque at the meeting. On 6th July 2017, the annual General Meeting for South Cambs Badminton league was held. We had good attendance, with all clubs except 3 being represented (Name and Shame: David Lloyd, Hawks and St Ives). We are pleased to say that our committee is now up to 6 representatives (full committee here), but would welcome any other clubs wishing to get involved! We have updated our rules slightly to address a few problems that cropped up over the season. Further detail of what has changed can be found within the minutes. Don’t hesitate to get in touch with the committee if you have any questions or queries! 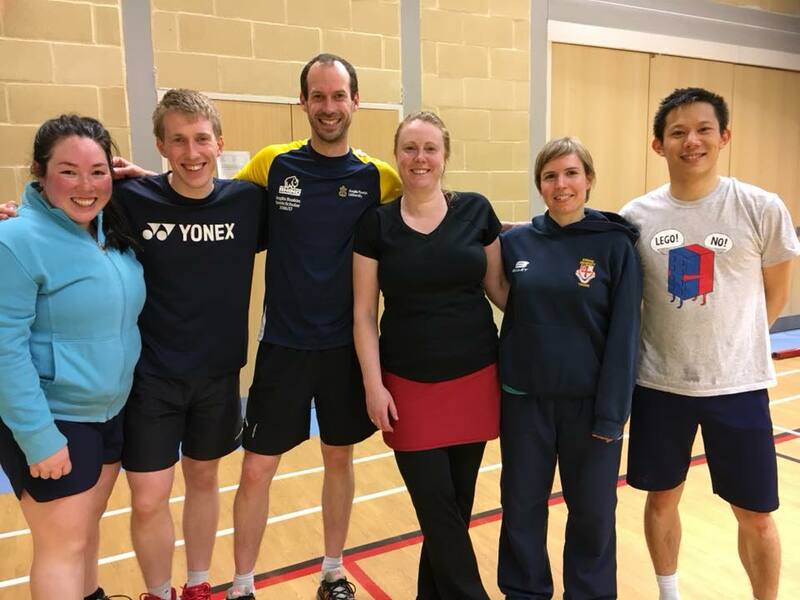 Welcome to the new South Cambs Badminton League Website! South Cambs Badminton League is a doubles league that runs in the Cambridgeshire County in the UK. We have Mens, Ladies & Mixed leagues, all with multiple divisions. We also run two cup competitions which are both knockout cups. For information on how to join the league, please navigate here. Additionally, there is a singles league which is privately run (not governed by SCambs), but is supported by our website. Finally, don’t forget to give us a like on our facebook page!